I don’t know if it is crooked, unethical, or dirty in fact, but I sure know how it smells, so to speak. Take a look at the map of property where the group leading the effort to force taxpayers to build a dirt-floor event center in Lubbock County wants the facility located. The big land purchase and build, if voters approve the scheme to have those renting cars and hotel rooms forced to pay for it, sites the center on land that would appear to immediately enrich an outgoing, voter-defeated Lubbock County commissioner. Bringing big development to land that has seen little interest in years is almost certain to raise property values of immediately adjoining land and to whom does that land belong? 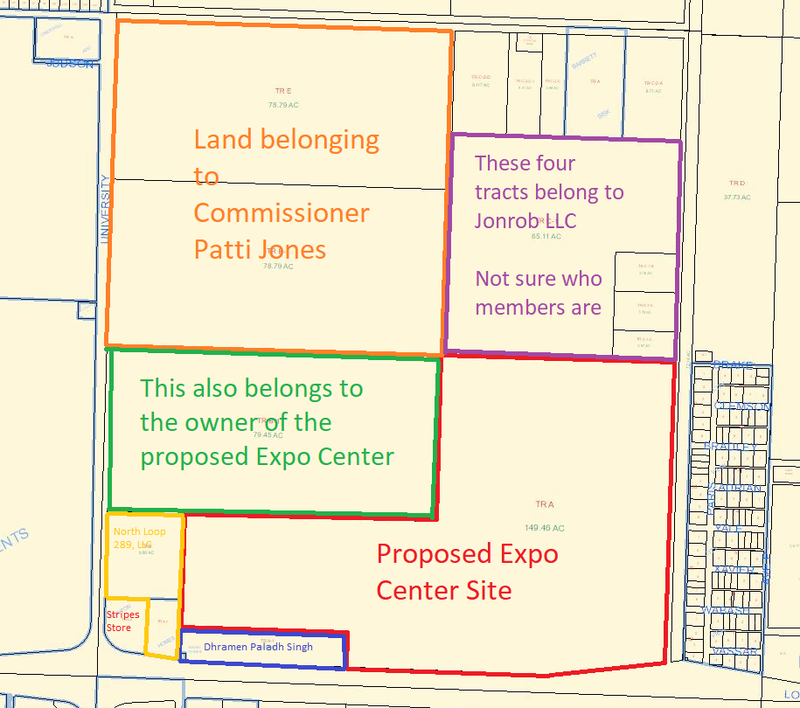 Why most of it belongs to none other than Commissioner Patti Jones directly and some other land to a limited liability corporation named Jonrob of which it turns out, after a little checking at the Secretary of State’s office, lists Commissioner Patti Jones as “secretary” and “member,” which means partner, along with Kevin G. Roberts and Wendy Roberts. 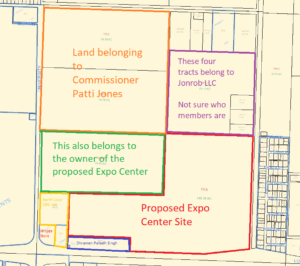 The scheme pushed by a lame duck commissioners court in Lubbock County, hatched after primary defeats, is to have voters approve yet another government owned entertainment facility. Interestingly, if built where proposed, the project would appear to bring a financial windfall directly to County Commissioner Patti Jones. Was it not enough for Patti Jones and buddies to vote themselves massive pay raises every couple of years for two decades and enjoy the state retirement that is indexed to those salaries? Could it be that Jones had to go out in style with a big retirement nest egg by having voters back a taxpayer funded scheme that would likely balloon the value of her property? Remember Glen Robertson’s downtown land deal? How much money has Market Lubbock funneled to RDAG? Does anyone truly believe our leaders are void of corruption? Jonrob, LLC, also connected to Patti Jones. As is clearly outlined and documented in the commentary. 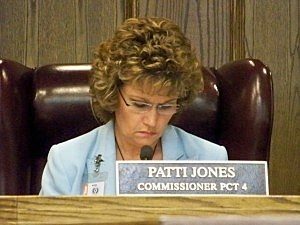 I personally would be at a total loss if Patti Jones is doing anything questionable ! I believe she has always had Lubbock’s best interests in her heart. If you know anything about Government, there are always some that line their pockets. I do NOT think Patti Jones would do this. Now, others in this plan may, I cannot speak about their intentions. So before you start slinging that mud, PLEASE do you research fully. One might need to dig mud out of their mouth. There is nothing to “think” and there are few who know government better than do I. The evidence is what it is and you are free to interpret it as you want. However, given that Patti lead the movement to raise commissioner salaries to double what they were when she started, it is ridiculous to say she didn’t engage in lining her pockets (or purse) while serving as commissioner. It’s not opinion but public record how many times she voted to raise her own salary and benefits and is a reason voters went another way.